If you follow us on Instagram, you might already know we have a Mi Mix 3 in the house, much before its launch in India (if at all). The highlight of the phone, as you may know, is the slider mechanism which makes Mi Mix 3 one of the first few devices to use the form factor. Sure, fidgeting with the Mi Mix 3 gives you a delightful feeling at first, but after using it for a day as my intended daily driver, I’ve come to dislike it for several reasons. New fidget toy arrived from China. You think this could be part of @XiaomiIndia's #Super3 announcement next Tuesday? From adding bulk to the phone, to making the device more vulnerable to breaks, this sliding smartphone does not seem to justify the hype which was actually built around the revival of the form factor. The first thing that irks me about this design is that it observably adds to the weight of the Mi Mix 3. 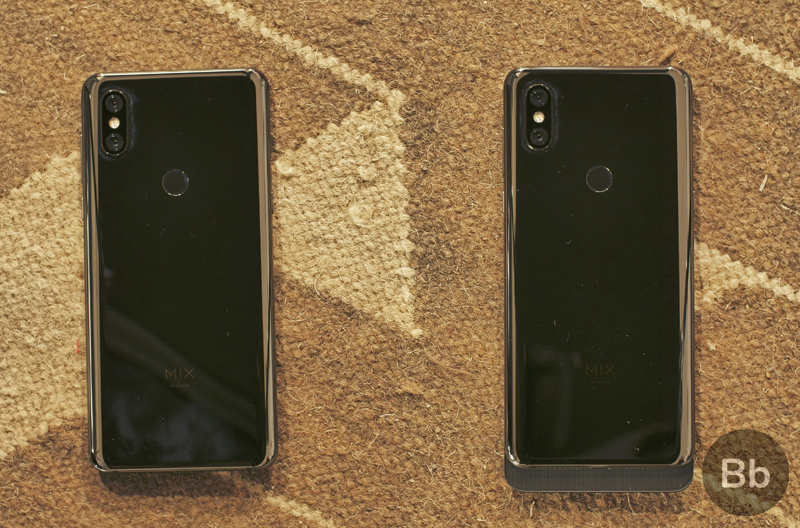 The device weighs 218 grams, which is 14% heavier than outgoing Mi Mix 2S and 24% heavier than the Mi 8. Further, if you’re planning to add a case to protect that delicate ceramic back, you are likely to feel weighed down even more. 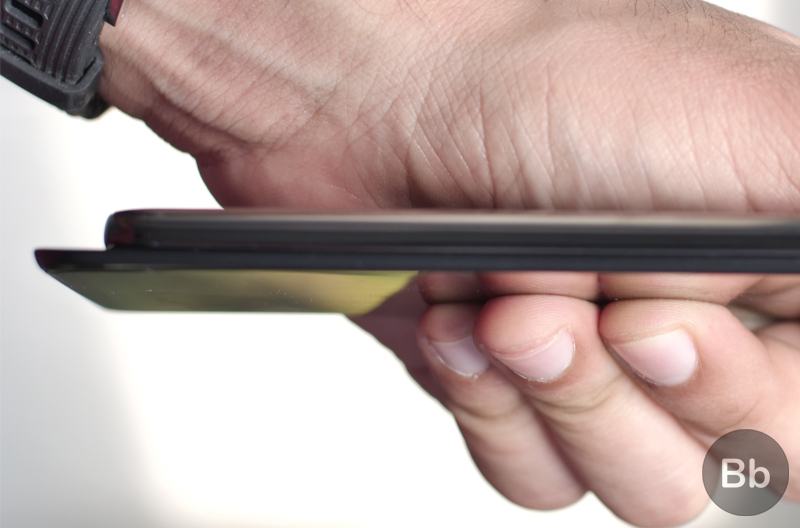 The use of ceramic – microcrystal zirconium oxide to be precise – instead of metal or glass is another factor that adds to the weight of the device. The weight is something that’s absolutely noticeable and does hamper your experience. Not only does the newfangled design make the Mi Mix 3 bulkier, it makes it thicker too. This can instantly be felt, as soon as you pick up the device. The difference might not be major for anyone using the Mi Mix 2S as the thickness increases by only 0.3mm. 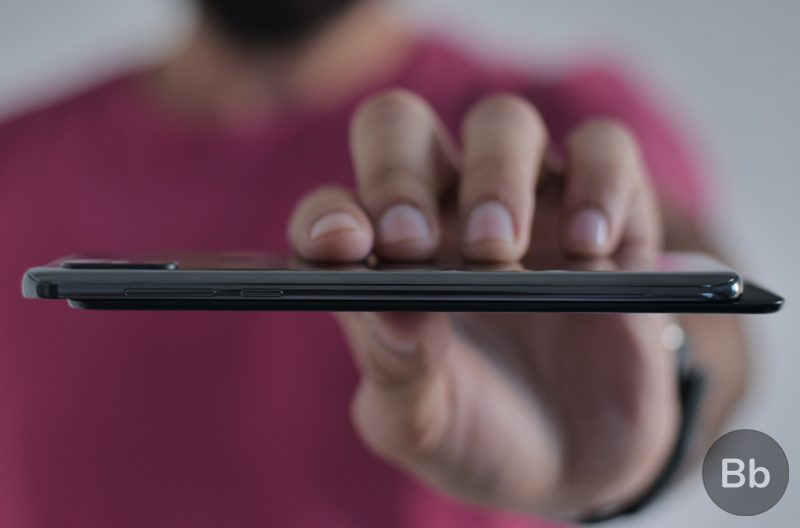 But compared to other modern flagships like the OnePlus 6T and Mi 8, the slider design adds almost a millimeter of extra height to the device. Personally, coming from the OnePlus 6 as my daily driver, I would prefer a slimmer phone and the Mi Mix 3 does not have good weight distribution. No matter the assurance from Xiaomi about the durability of the slider, I cannot escape the feeling of nervousness while holding the Mi Mix 3 in my hand, or inside my pants’ pocket. While the magnets holding the slider in place feel pretty durable and solid, there is almost always a fear that lint from inside a pocket can get stuck in between the sliding mechanism and break the experience. Furthermore, I have come to pay an undue amount of attention to the phone when the slider is open. There’s a visible gap between the two pieces but what’s more worrisome is that there’s quite a bit of flex in the movable back portion. As such, any impact or accidental snap is likely to split the phone down the edges. 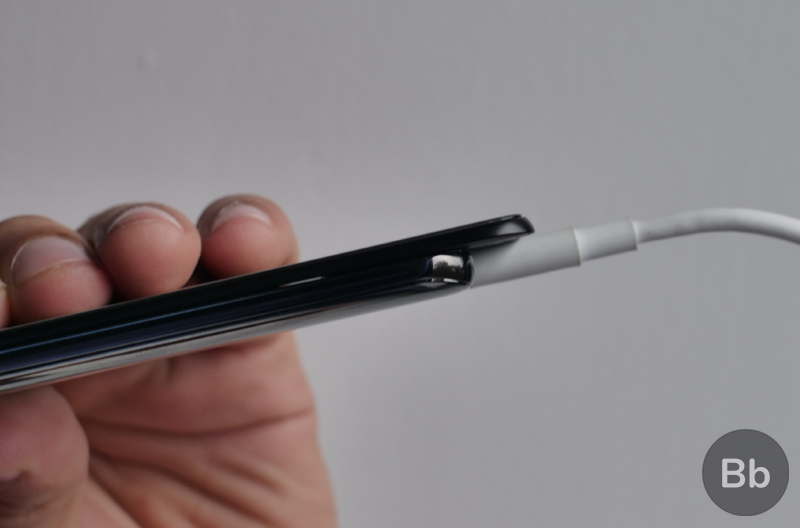 The sliding part extends towards the bottom, which is also where the USB-C port for charging, data transfer, and audio output (because, no headphone jack) are found. When the charger or a dongle is connected, the slider is relatively harder to move and you can feel the back side of the movable screen brush against the cable. This also makes it difficult to use cables from other manufacturers – which might have thicker ends, thus defeating the universal nature of USB-C. Although the Mi Mix 3 does come with a wireless charger inside the box, giving up wired charging completely seems unfeasible – at least for now. While the use of ceramic makes the Mi Mix 3 less prone to scratches or abrasion, it also means that the back is more brittle. So, if you have a tendency of dropping your phones, using a back cover is a must. But due to the movable nature, you can only choose covers which protect to the bottom part, leaving the screen exposed. We’re not sure if we will be able to get some 2-in-1 covers which protect both the front and the back but at present, it does not seem like a plausible prospect. The slider mechanism is one way to beat the notch, but it seems Xiaomi and other companies have not paid much heed to the potential ways in which it can break the experience. I’m not very confident that the sliding form factor will evolve into something more secure. At the moment, it feels like a passing trend just like the notch. Meanwhile, do you think the Mi Mix 3 will be coming to India? Tell us what you think in the comments below.